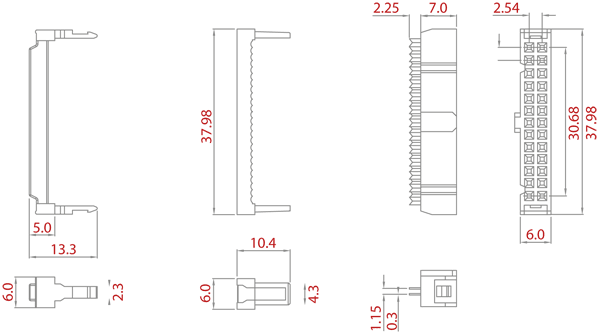 26 Way Cable Mounting IDC Socket 2.54mm pitch. Ideal for Raspberry Pi GPIO connector. All measurements shown in millimetres.